Prominent & Leading Manufacturer from Navi Mumbai, we offer heat exchanger, stainless steel heat exchangers, industrial heat exchangers and shell and tube heat exchanger. 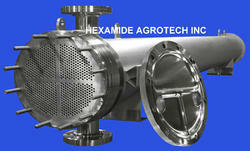 We are leading manufacturer & supplier of Heat Exchanger. 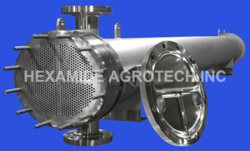 We are the leading Manufacturers,Traders and Suppliers of Stainless Steel Heat Exchangers. We are the leading Manufacturers,Traders and Suppliers of Shell and Tube Heat Exchanger.